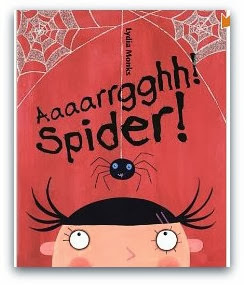 One of my favorite stories to read in October is Aaaaarrgghh Spider! by Lydia Monks. 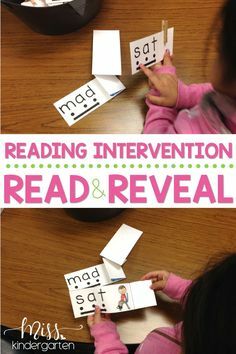 It is such a cute story and my students really get a kick out of it! 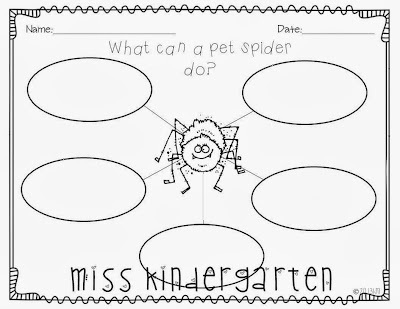 If you haven’t read this story yet, it’s about a spider that decides he wants to be a pet spider. He shows a family all the things that make him a great pet, but all they see is a scary spider! And coming from somebody who truly dislikes spiders, I think it is a really cute story! Ha! 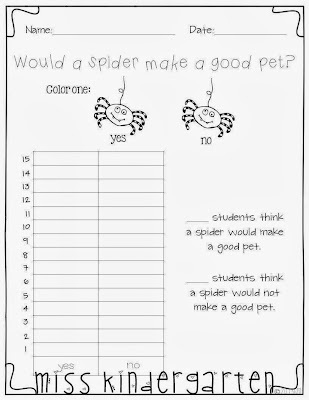 After I read this story to my class, we make a class graph and analyze whether we think spiders do or don’t make good pets! 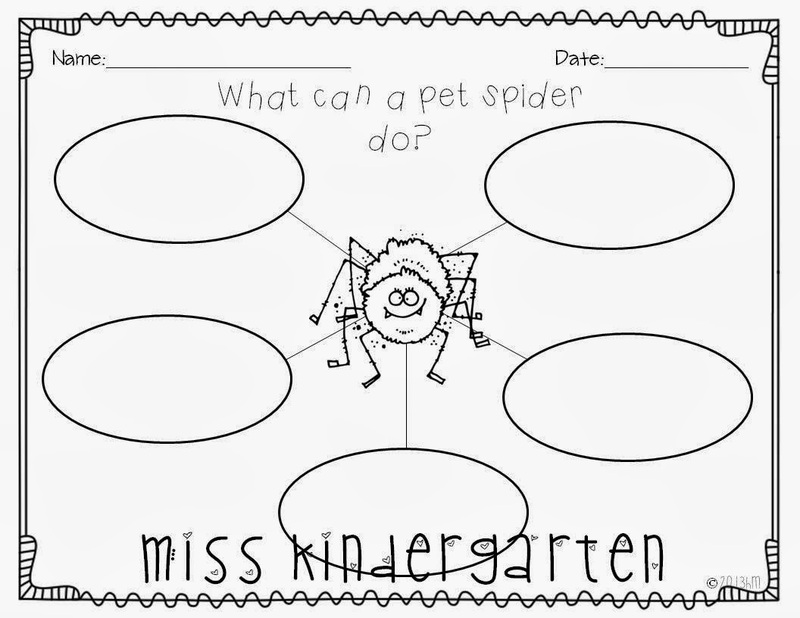 Then we use this graphic organizer to recall what the pet spider does in the story. Since this is for our pre-write we just write one or two words in each bubble instead of a whole sentence. For example we might write “feed itself” or “dance”. 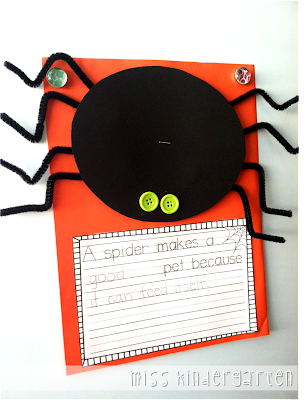 The students write whether they think a spider would make a good or bad pet and then write why. While I was browsing instagram over the weekend, my friend Marsha posted some adorable spider buttons that she found at Jo-Ann Crafts and Fabrics! I obviously had to go out and buy them! 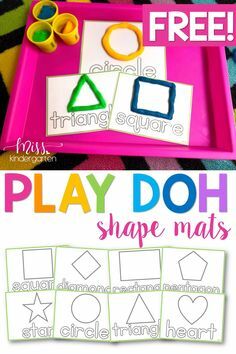 Accompanied with the pumpkin ice cube tray and foam dice I found at the Dollar Tree, they made for the perfect math center! 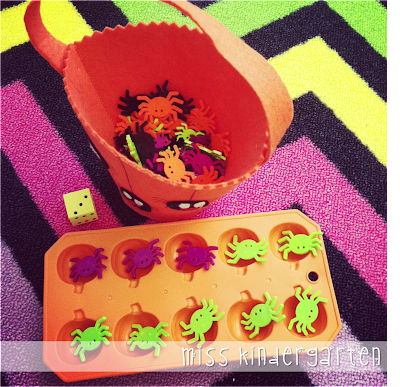 To play, have your students roll the die and place that many spiders in the “ten frame”. 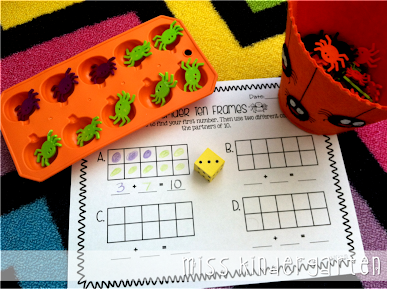 Then using a different color, figure out how many more spiders are needed to make a ten. 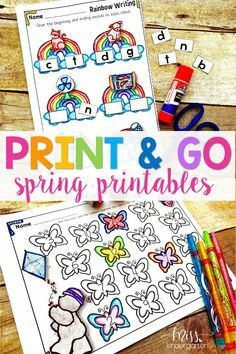 You can download this mini-unit in my TpT store for free! 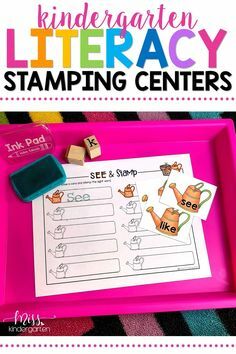 I’m linking up with Ashley at The Teacher’s Treasure Chest! 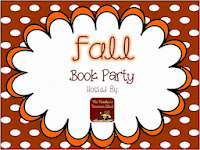 Clink on the links below to see more Fall Book Activities!